The Mahindra e-KUV100 was first spotted testing on the roads in November 2017 and then unveiled at the 2018 Auto Expo in February last year. In a recent development, Overdrive has claimed that the launch of this model will take place around the festive season this year. 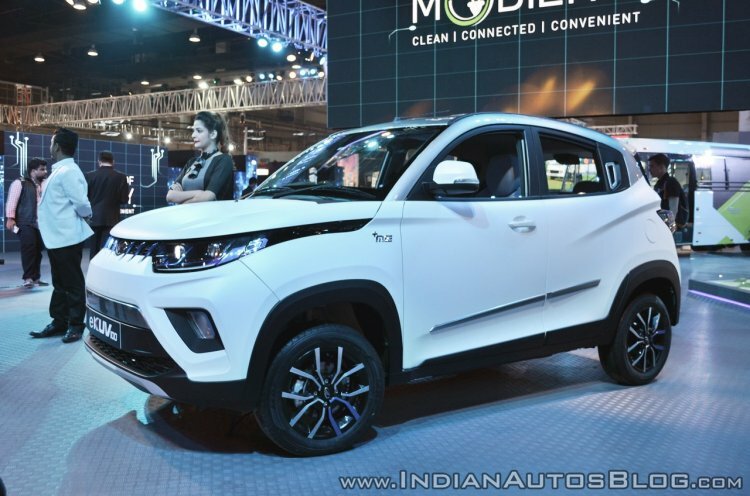 The Mahindra e-KUV100 made its public debut at Auto Expo 2018. It is one of the two new Mahindra EVs planned to be launched by 2020. While the Mahindra e-KUV100 shares its bodyshell with the KUV100 NXT, it has a slightly neater design. As the there's no engine requiring cooling, the upper grille has been replaced by a similar-l00king closed panel. The signature vertical slats have a blue accent on them, and there's a similar blue finish on the fog lamp housing. In place of halogen headlights, there are projector headlights with a blue accent. 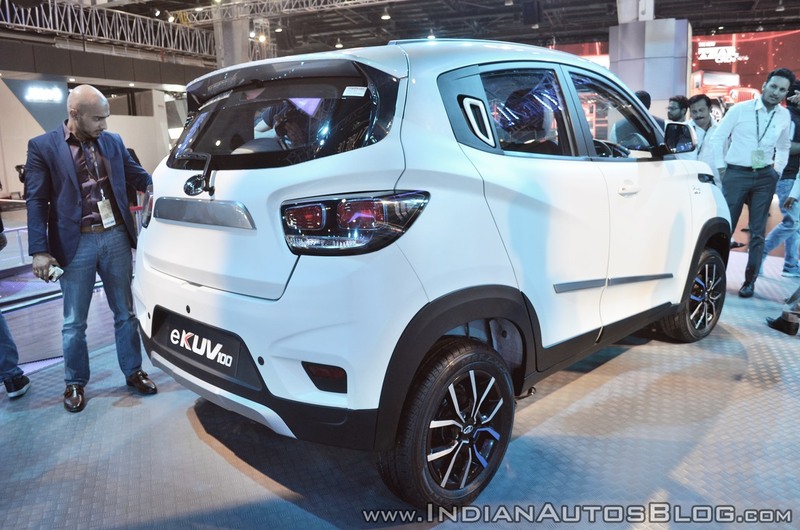 On the sides, the Mahindra e-KUV100 features blue accents on the alloy wheels, a Mahindra Electric badge on each of the front fenders and sleeker door mouldings. At the rear, it has a grey-coloured tailgate garnish. A 30 kW (40.79 PS) motor powers this electric vehicle. As for the battery pack, its capacity is unknown, but the company says that it offers a driving range of more than 140 km and takes less than 30 minutes to get charged to 80% using a fast charger. Mahindra is working on a pure electric variant of the XUV300 as well. Reportedly, it will have a range of 350-400 km. Powering the Mahindra e-KUV100 is a 30 kW (40.79 PS) electric motor that gets its juice from a Lithium-ion battery pack that offers a range of over 140 km. In the short run we are converting our current vehicles to EVs. So we already have e-Verito and we will be launching e-KUV in about six months time and one year after that we will launch electric XUV300. Post that, we are looking at doing platform ground up for electric vehicles.